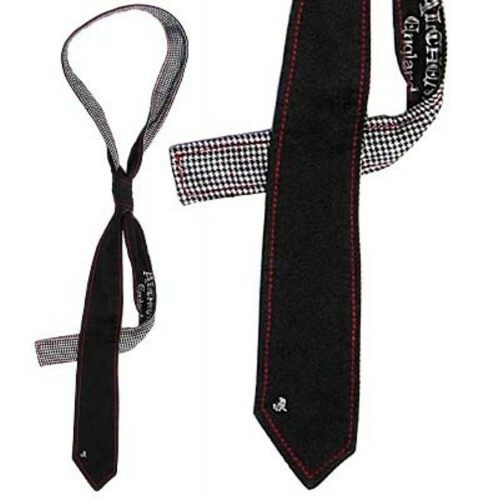 Thin tie model Skinny completely handmade in cotton, the front is black, with asymmetric spikes and has red stitching. The back is black and white checkered. Hand print of the AlchemyGothic brand and small alchemist's skull with rose.